Home / SkinCare / PHB Ethical Beauty Bio-Gel Skin Brightener. 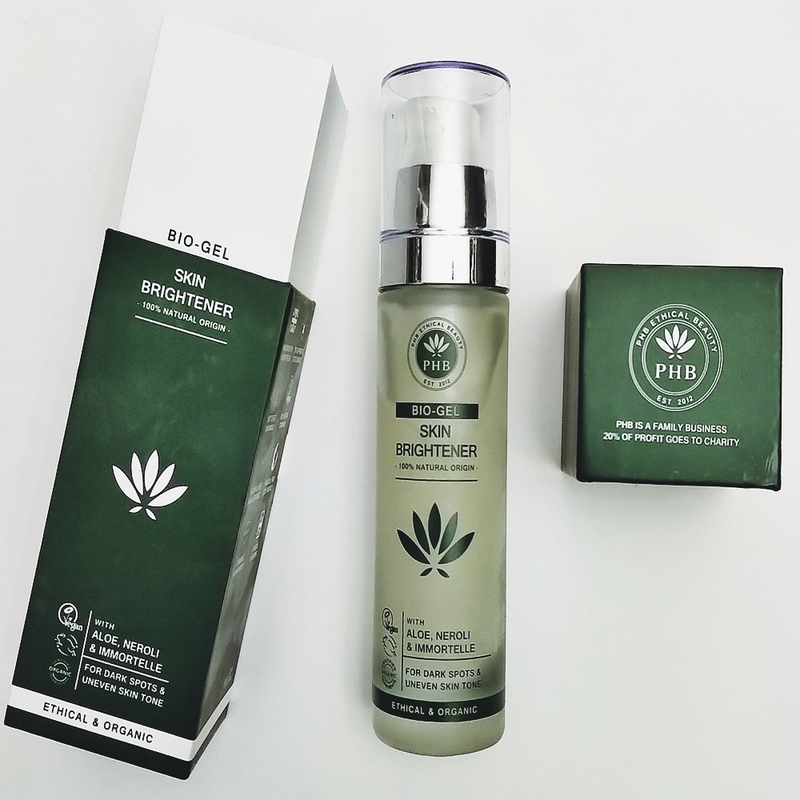 PHB Ethical Beauty Bio-Gel Skin Brightener. Target dark spots and uneven skin tone when applying the PHB Ethical Beauty Bio-Gel Skin Brightener daily. 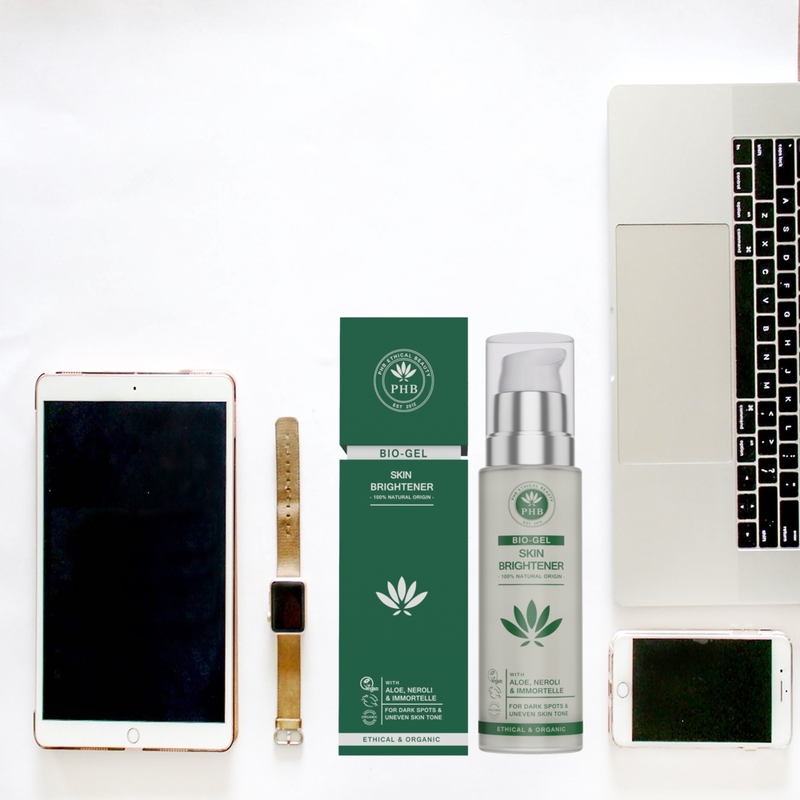 The ethical and natural skincare product contains a unique formulation of essential vitamins, minerals and nutrients, which includes the finest quality organic Aloe Vera with Neroli, Immortelle and Licorice. Gel treatments and moisturisers are water-based products that offer a lightweight texture and are easily absorbed into the skin than a cream-based or oil-based moisturiser. Oilier and combination skin types usually benefit greatly when switching to gel products because there is no oil being added to the skin, while applying gel products in warmer seasons and climates ensures the skin is being hydrated, without the product slipping off or waiting for your skin to become matte when applying a typical heavy cream/oil moisturiser. Disclaimer: I received this product for free because i am a LoveLula accredited blogger, this does not influence or change my honest opinions expressed in my blog posts. 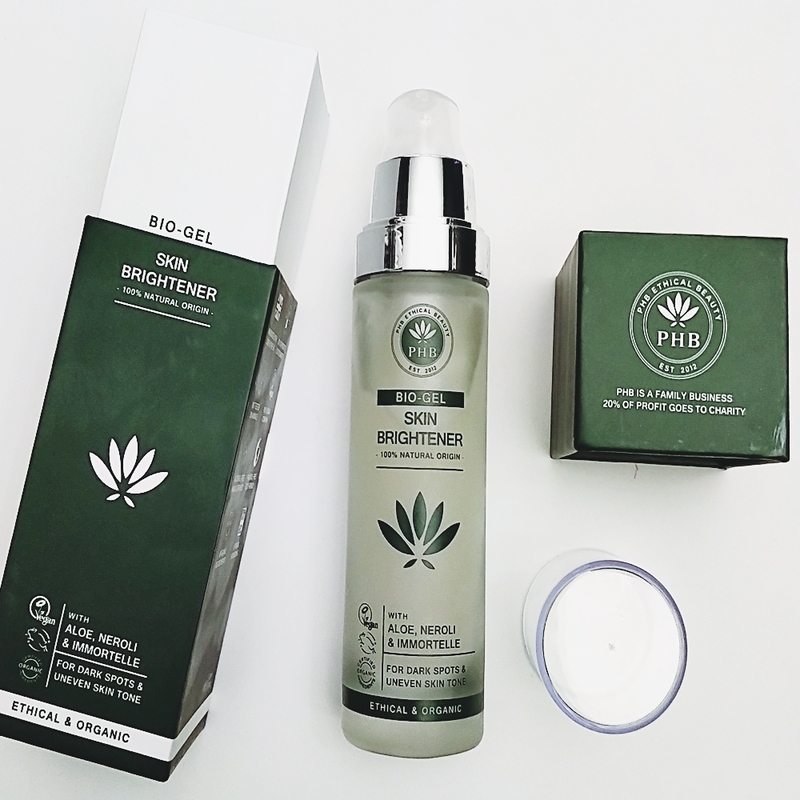 The PHB Ethical Beauty Bio-Gel Skin Brightener is suitable for all skin types and those who may suffer from dark spots, pigmentation and general uneven skin tone. Presented in Eco-friendly packaging and taking the lid off the box, you are greeted by the glass bottle (great to see how much the product contains before you run out) with a pump applicator. Pressing one pump out on to your finger tip and then applying to the face and neck, you will experience a light cooling sensation and a natural aroma that influences your well-being. The bio-gel glides over the skin easily, before dispersing almost into a water-like texture and absorbing quickly, leaving the skin perfectly hydrated and soft to the touch. You can apply the bio-gel to your body, just don't forget to apply your chosen SPF after application to the face and body to protect the skin from sun damage. I have been really impressed, when applying the bio-gel daily, on how lightweight this gel feels on the skin, while providing a powerful hydration boost. It does not leave the skin feeling greasy or looking shiny, and can be easily incorporated into an existing skin care routine. Applying your essences or active serums first, you can then apply the bio-gel, followed by your SPF based products or your typically used sunscreen. My skin feels perfectly balanced throughout the day and at night I apply after any masks or treatments to replenish and revitalise the complexion. Purchase the PHB Ethical Beauty Bio-Gel Skin Brightener and discover this ethical beauty brand, X Neil. It's a must-have from a highly affordable range.